Topic: The Multi-Dimensional Nature of Your Love! Do you long to live from your heart more of the time? Lapse into negative thoughts and beliefs too easily – no matter how many affirmations you say? Find yourself losing your connection to Spirit more than you would like? Need regular support to help you anchor your connection with your higher self and soul into more of your daily life? Seek transmissions of empowerment which are both truthful and uplifting? Want to connect deeply with other beautifull souls who are genuinely seeking to bring their best to this World at this time? If you said "YES" to any of these questions, you are at the right place. Join us with Sally to Empower yourself and re-connect to your Soul and Higher Self Presence. During this powerful call Chung Fu will share teachings and lovingly guide you on a deep inner Soul journey of self discovery and self transformation to own, love and integrate your shadow and become your authentic empowered self. 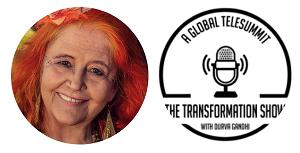 Sally Pullinger is a professional full trance medium who has been working with her Spirit Guide Chung Fu for over forty years. She lives and works with her family in Glastonbury (UK), known to many as the Heart Centre of the world. Sally and her family believe strongly in the power of community and extended family to support and heal the afflictions of the heart suffered by many during these times. Through the intense initiations that her family has undergone, they have made a conscious choice to work together to share these rich and real teachings, practicing within their own family and community the principles Chung Fu teaches, of personal truth and honesty, of love that holds space for the healing of each other’s shadow aspects. Sally believes it is possible to create a new way to live upon the earth together in harmony peace and love but has no illusions about what it will take to achieve this aim. Sally is also a self-initiated Priestess of Avalon and in recent years has been blessed with the ecstatic experience of Goddess Isis coming into her body when she is in trance, as well as other aspects of Divine Mother and is always delighted to share this. Integrate your shadow and make a direct connection with your Higher Self and Spirit Guides. Learn to expand your light body in order to connect with your higher self. So that you can receive the vast resource of the divine essence of which you are part and radiate this energy in order to manifest the many needed changes. Finally, Learn to Fully Love yourself – unconditionally! + Item 2: Private 1 hour session with Ascended Master Chung Fu. What is human love? As humans in this world of duality we have to understand that we are looking for the love in everything. The purpose of your life is to grow in your capacity to love. You have been born at this special time upon the earth when the challenges are particularly strong as the Creation Power of the Universe, the Solar Logos, is bringing great changes and transformation to us all. All the negativity and suffering on earth is seen by your soul as the opportunity for transformation. As you meet the challenges on this earth plane your soul grows in the power to love in order to heal and become one with that source. In this live webinar Chung Fu brings you his teachings and wisdom on what Love really is, and how it often tries to communicate in voices of pain and emotional negativity. He shows you how to connect through your Higher self to the source of your being which is Divine Love and really listen to the voices of your pain which are your Soul speaking to you from within. It is the practice of bringing the Divine Love to the human hurt places that heals your heart. Your Higher Self is an emanation of ‘God’, ’Goddess’, just as your Soul is an emanation and creation of your Higher Self, and your body is created to express your Soul. The better you are able to connect to your Higher Self, the more easily your Soul can enter your body, heart and mind and fulfil your Life Purpose. To connect to your Higher Self is to connect with your constant, clear seeing, all knowing, all loving Inner Guide who always has the perfect and unique right answers for you. Faced with the challenges of living on earth at this time we especially need the power of our Higher Self to connect with the Solar Logos beaming Divine Love down upon the earth. In this webinar Chung Fu will guide you with some special practices to connect to your Higher Self and feel the quality of Love that emanates from this Divine aspect of your being. Cosmic Divine Love is the power of creation allowing all possibilities for the purpose of awakening humanity to manifest the divine purpose here upon the earth. In this transmission, Chung Fu and the Solar Lords take you all the way to the Temple of the Central Sun, the Temple of Creation, the Power Centre of the Universe, to be immersed in the presence of Goddess/God, the Supreme Being, to remember the source of your Being, that you are one with this presence, that you are designed to carry the Divine Love into all the worlds, and especially at this time, into your life on this earth. The Solar Logos is the Inner Central Sun of the Universe, named in different traditions, the Christ energy, the Creator, the Supreme Being. The Solar Lords (both female and male) are the Light Beings who are radiating the Pure Light and Love of the New Creation out into the Universe. This transmission with Chung Fu and the Solar Lords brings you into connection with the Solar Logos. The powerful rays of the Inner Sun are bringing huge transformation into these earthly dimensions at this time, causing vast amounts of chaos and upheaval both internally and externally. Chung Fu and the Solar Lords introduce you to the power and brilliance of these emanations, which are coming through the ethers, helping you to connect with the Source and receive the empowerment of the Solar Rays. This is a wondrous time to be alive and to be a part of the Great New Creation upon Earth, to be one with the Creator, to be an assistant, a co-creator, a bringer of peace, of harmony, and of a world based on the principles of Love. In this series Chung Fu helps you to connect with that deep place within the emotional body that is ‘The Inner Child’. There are many aspects of the Inner Child, some entirely whole and healthy, and entirely connected to Source, to the Divine, some fragmented and separated and holding a great deal of pain, some aspects are shut down, hidden, anaesthetised, disabled. There are so many different combinations of the qualities each Inner Child within each adult may possess. Each one has a different balance of the whole and wounded aspects of the Inner Child. 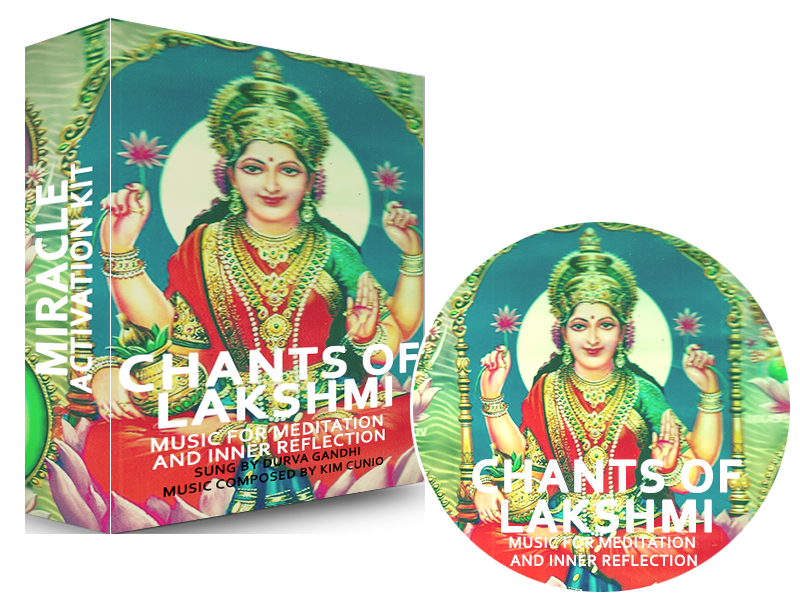 Each meditation journey within this series will assist you to discover more and more deeply and with greater understanding and clarity, the veiled, hidden, unexplored or unexpressed places inside the heart of your Inner Child. For many different reasons it is often the case that you were not able to voice deep feelings and experiences, hurts and pain, when you were younger. And the wounds unhealed in childhood compound themselves into more complex patterns as the years go by. In these guided visualisations Chung Fu assists you to connect to the deep places where the Inner Child within your adult self still holds on to patterns of pain from the past, so that you may release, heal and transform these wounds. The journeys can be done in any order, they each have their own special focus and help you connect to and work with your Inner Child in different ways. The purpose of this journey is to help you re-connect to your spirit family, to your guides and ancestors, and to your original life purpose. Before you are born, you are assisted by your guides and ancestors to choose the circumstances for your next life, and to create opportunities within that life choice for your soul to grow and evolve for the highest good of yourself and all connected with you. Within this overall plan there emerge the themes, the gifts and talents and potentials you have within you, to be affirmed, brought forward, and developed towards their manifestation. This is the life purpose. In this journey you go to meet the ancestors who help you remember your life purpose, and support and empower you to get fully back on track, onto your life path and in tune with your soul. Journey no 2 : Healing your Inner Child’s wounds of abuse and abandonment. Receiving the Blessings and Healing of the Divine Mother. The Inner Child holds memories that are deep within the soul. These might come from this life or from other lives. Some of these memories contain deep unhealed wounds of abuse, abandonment, rejection and loss. These unhealed wounds gradually ‘mutate’ and arrive in the heart and body of the adult as patterns of dis-ease and disturbance of body, heart and/or mind. If you find yourself held back in your life by fear, lack of confidence, suppressed anger, shame or guilt, or physical pain that you know has a strong link to your emotional states, it is likely that it will benefit you to explore the feelings hidden within your Inner Child, to discover underlying wounds and pain stored there. By bringing your attention and your love to these deep places within you on a regular basis, you can heal these painful aspects of your being which your Inner Child has kept hidden within you. Through this meditation Chung Fu assists you to hold, love, and heal your Inner Child’s wounds of abuse, abandonment, rejection and loss, taking you into the heart of the Divine Mother to receive Her blessings of renewal and rebirth. It is so often the case that the wounds of your Inner Child are the same as or similar to those experienced by your ancestors before you. Sometimes you may even ‘inherit’ or ‘absorb’ conditions of body, heart, mind and soul that have been passed down through generations. In more extreme cases, some of you may even have ancestors consciously or unconsciously ‘attached’ to you for various individual and complex spiritual reasons. In this journey Chung Fu takes you through a deep and intense Fire Ceremony with the purpose of cutting ties with any and all ancestral wounds, thereby also assisting in the healing of those ancestors who were unwilling or unable to heal themselves within their physical life-times. This is a wonderful deep, dynamic and powerful healing journey to release ancestral wounds and re-establish the freedom of your own soul to choose the path of joy, peace, wholeness, connection, and love within this life. Each one of us can create and change our own ‘destiny’. Though you may arrive carrying the scars and wounds from other lives, even though you may have suffered within this life, you are capable, through deep reconciliation, re-integration, forgiveness, positive affirmation and self-realisation, of re-creating and re-orientating the patterns and probabilities within your akashic programme, and thus you are able to determine your own new future. Everything that occurs in your life depends upon your consciousness. When you free yourself from the shackles of separation and negativity and become once again one with your higher self, and re-united with the Divine Source of Love, you draw back to you your true God/dess nature and become the creator once again of your own life of love, beauty, peace, truth, harmony and joy. However, once you have travelled this deep path of reconciliation with your places of pain and wounding, you will always have the personal power and compassion that enable you to stay grounded and deeply connected to your humanity, knowing how to meet the shadows that will surely still appear within these dimensions of matter and duality. May the Living Spirit that is within all things come forward and bring you the beauty, innocence, love, joy, and deep soul connection of the Inner Child who guides you towards the peace and deep understanding that is beyond the mind. "Its hard to talk about Chung Fu because what he is what he does is so deep and so beyond the mind it is hard to find the words. All my life I have been looking for the highest source of truth, of divine authority and of course that is something I really need to find within myself. However Chung Fu is the closest I have found yet. As a guide to the spirit world and the emotional world Chung Fu is unparalleled in my experience. On top of all this, his compassion and humour are immense. Such a nice guy!! The wise grandfather we have all dreamed of. Private 1 hour session with Ascended Master Chung Fu. Item 2: Private 1 hour session with Ascended Master Chung Fu. Come and spend time with Chung Fu, an ascended being from the worlds of light, speaking directly to you through deep trance medium Sally Pullinger. Experience conversing with this kind, compassionate, insightful, humorous, loving spirit guide whose special chosen purpose is to help you connect to your soul and your true purpose here on earth. Chung Fu is an ascended being, which means he is no longer choosing to incarnate at this time, though he says he will do so again at some point in the future. He has explained to us that he has created an astral body that he uses in order to come emotionally close to us all. Chung Fu creates a really deep personal connection and friendship with his students and clients and is able to see into the soul and read the akashic records in order to see into past lives helping us to understand the causes of present and long term wounding and pain. He explains that his main purpose in communicating with us at this time is to help us grow spiritually, mentally, and emotionally strong in order to meet the extraordinary challenges of our present-day world. He tells us we have been born at this special time because we are part of a big wave of humanity coming forward to create change in the world. Chung Fu helps us to understand the enormous power and support available to us on the inner plane, and to develop our light bodies in order to be able to better receive the love, wisdom and guidance of the light beings working with us. Once we open to this deep soul connection, he brings us simple tools in plain language that is easy to understand, and encourages us to make space in our life to literally re-build ourselves in places that are weak or broken. He says that with practice and application we can completely rebuild our mental and emotional bodies and expand our light bodies to be able to fully encompass and contain the power and presence of our higher selves. He often refers to his techniques like a coach talking to a training athlete, explaining that if we want to get strong, then do the exercises, do the practice, do our spiritual workout every day and we will become spiritually, mentally and emotionally fit and well! You do not need to send questions ahead of time. Though by the nature of thought and energy - as you are forming and thinking through your questions Chung Fu is no doubt hearing you even now! With regards to a session though - please just feel you can ask about Anything....the truth is you also can come with NO questions and you will soon be talking about the heart of your deepest issues...Chung Fu has a way of getting in there:-) As much as possible just feel very comfortable and natural - as though you are approaching a wise old friend who you know will accept and understand anything you share and bring forward...and will gently show you ways forward or inward..or both!! To work with Chung Fu is to enter into relationship with a tireless and loving overseer and guardian who makes his presence known in both obvious and subtle ways in our lives. Many of his students, clients and friends hear him talking on the inside, and after working with him for a while often find they have personal access to the wisdom, understanding and love that flows through this beautiful being from the Source Divine. "I came to Chung Fu literally on my knees; my health was so bad I thought I was on my last Winter. My healing journey with Chung Fu has been deep, and at times demanding, but so infused with love that I felt held in both body and soul. I met my authentic self for the first time, learned to hone and develop my gifts through development work and later trance, and reclaimed my body and my soul. From feeling very close to the end, I now run my own successful practice helping other to heal through horse-human and human-human connection. My life has completely changed through this deep, compassionate, unswervingly honest, soul work. In this guided visualisation, Chung Fu helps you to understand, connect with and project your Higher Self, who is one with the ‘Source’, ‘God’, ’Goddess. Your Higher Self is your constant, clear seeing, all knowing, all loving, completely dependable Inner Guide who always has the perfect and unique ‘right answers’ to all your questions and belongs exclusively to you. "thank you thank you thank you~~~~~ tears of connection~~~ feeling so very loved ~~"
"I wanted to share with your audience and sense of the transformation that his practices bring. I suffered so much of my life with anxiety and depression, I went through so many therapists but it was only when I started working with Chung Fu that my healing began. I have been so inpired and transformed by his wisdom and love I have even written a book about it - which I'm hoping to publish next year." Hi Chung fu n Sally... This is one of the most profound meditations which Chung fu did... Am so grateful... Om shanti"
"Chung Fu has changed my journey beyond imagination. I do believe in miracles, created by my connection with spirit and my new insight....thank you sooooo much Chung Fu, Sally, Sophie and Jerome for everything and for everything to come.Blessings and peace"
There are no words to express the deep understanding and infinite peace received from being 'Seen' on such a profound level through working with Chung Fu. Life has got clearer and infinitely more real and exciting since I met this circle. An amazing family, working with these guys has changed my life. They inspire me to want to reach deeply within to become truly authentic and connected. It's not all plain sailing but worth every penny and every tear. I have absolutely been blown away by my sessions with Sally and Chung Fu. As a follower of a more spiritual path, this absolutely cut through to the core of what I needed to do, what was required and why I was in the situation I was in and added so many deeper meanings to the events of my life, like no other session, treatment, spiritual dedication, prayer or ritual I had ever undertaken. It gave me an understanding that would have been hard to achieve without this special meeting of what I see as spiritual light and love from a higher source that allows you to see into all the corners and illuminate them for healing and progress. I have been truly blessed by this. I have never before had such an opportunity to explore my spirituality and my humanity in a truly compassionate way and with an honesty and openness that can only be achieved when a remarkable space has been created, this is the space that Sophie and Sally and their family have created with Chung Fu. This is a blessing and gift and facilitates healing and learning but there’s more, Chung Fu I’m sure will chuckle when I say he is the icing on the cake!! To have the opportunity to converse and be taught by a teacher who has journeyed through many lifetimes pursuing an understanding and clarity of the universe is awesome, to then witness his wisdom and insight to each individual within a group is humbling and beautiful. I am aware of the presence of Chung Fu being here for me whenever I call on him. I do this often, when I have conflict and distress. The response comes in different ways through conversations or surprise meetings, and I am able to at least understand the dynamics of the issues. Over the course of the years since my first meeting with him I have slowly but surely moved out from under the burden of helpless victim. Thank you all for allowing this illuminating presence to be there for me. I live in Australia, and the time difference precludes me from joining live, but I LOVE listening to the calls afterwards. I feel uplifted and expanded and deeply deeply grateful. I feel it makes a difference in all my encounters and relationships. I hope you continue to make the calls available to hear afterwards. I came to Chung Fu literally on my knees; my health was so bad I thought I was on my last Winter. My healing journey with Chung Fu has been deep, and at times demanding, but so infused with love that I felt held in both body and soul. I met my authentic self for the first time, learned to hone and develop my gifts through development work and later trance, and reclaimed my body and my soul. From feeling very close to the end, I now run my own successful practice helping other to heal through horse-human and human-human connection. My life has completely changed through this deep, compassionate, unswervingly honest, soul work. Thank you so much for the connection through you to Chung Fu and for the many hours of wisdom, encouragement and upliftment you have given me and many others throughout the year. I looked forward to every session with you as I find the connection gives me the firm foundation I need to go about my daily life. I have found the experience with Chung Fu incredibly helpful and deeply healing - it has filled an inner void with understanding and love of the soul. I have found that usually when one follows a particular spiritual teaching there is a dogma involved. I find that with the teachings of Sally Pullinger and Chung Fu both as individuals and in partnership that there is no dogma. It is called self-development and is just that. Over the last 4 years I have had a ball! I think I have laughed more than I have cried or even raged - there has always been laughter. I have made deep everlasting shifts so subtle and so necessary. I can but only smile when I think of this work……and it is work, but the best kind. Sally and Chung Fu are to me, the Rolls Royce of trance medium-spirit teacher partnerships, a real metaphysical A Team! Together they impart empowering, wise, loving, life changing guidance even if sometimes it is not quite what you want to hear. You know what is being said is in truth and with your highest interests at heart and it is only from this that you can begin to live a life that IS true and meaningful in all respects. I was first introduced to Sally and Chung Fu 10 years ago...a broken and fragile mess. I remember Chung Fu's words to this day telling me this was the start of a profound spiritual journey - and he was not wrong. That session was the first of many and I have gained so much strength, clarity, wisdom and inspiration from having this incredible source of support over the years. I am so very grateful and humbled to know both. My love and gratitude to Sophie also for making the sessions happen and everything else in between! The Chung Fu training provides me with some of the most important life tools. It does not dominate or dictate how you live your life but gently holds you & guides you into remembering its deepest meaning and your vitally important role in this world. In a world bereft of emotional self management guidance I feel so lucky to have been introduced to Chung Fu, Sally, Sophie and the rest of the family & members of the development groups, without them I would never have found the strength to hold my up head high & bravely & gracefully go about my day to day life in these increasingly testing times. I am a much nicer person because of it! I feel loved, held, witnessed, supported & loved. This experience is able to resonate out from me to my family & friends and this cycle of healing, understanding & wholeness flows little by little out into the world. The work with Chung Fu has made sense in so many ways to me. An on-going recognition of Spirit in my life and all of us has lead to deeper compassion and a willingness to dig deeper to find my own radiant light and loving heart buried under the roots of the 'bushel' of despair and desperation. Working with Spirit, through Chung Fu and those that work most strongly with him, Sally and Sophie and with my own Higher Self and other guides, has expanded my capacity for love. The work can be painfully uncomfortable as I find each hurting part, but the hurt was then, not now and now I can find love to light my way through the darkness. "The course and work with Chung Fu is life changing!" Working with Chung Fu has been such a subtle and deep journey....Chung Fu has helped me to have the deepest connection possible with myself.... he has helped me to remember how to weave back all the strands of my soul..... Chung Fu is a teacher with the hugest heart, greatest integrity and immense patience! "I have been having wonderful communications with Chung Fu (Old Chinese) for nearly 22 years. This has enabled me to transform my life with the always unconditional loving, wisdom, and encouragement, information and humour of Chung Fu and also my guides and other amazing Beings that I have connected with through Chung Fu. This on-going experience is the most important in my life and for my family. I am eternally grateful to Chung Fu and to beloved Sally for her amazing dedication and commitment to serving Great Spirit in this way." Sally became a medium when she was 28 years old after the tragic death of her husband which led her on a deep personal healing journey. 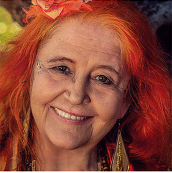 She was guided by wonderful healers and was trained by trance medium Ivy Northage and her guide Chan who were well known both in the Spiritualist Association and College of Psychic Studies in London. In the early years Chung Fu communicated mainly to family and friends and then in 2000, Sally and her family opened their home to host groups and individuals wishing to work with spirit. Since then Sally and her children, Sophie and Jerome, have facilitated many people through a deep process of spiritual self-development. Sally runs self-development groups in partnership with her Spirit Guide Chung Fu, also working deeply with individuals one-to-one, helping both men and women to integrate and heal past wounding and liberate themselves into their true deep soul connection. They now also offer online courses and programs. 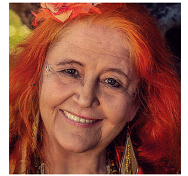 Sally is a passionate and talented musician, running the wonderful Avalonian Free State Choir, a Goddess rock band called Divine Roots and has an extensive collection of original compositions and chants to her name. She lives with her family in Glastonbury, Somerset, England.